Guests gather at the railway station at 2015 hours and complete the formalities related to check-in and reservations. A traditional welcome with welcome drink is arranged for the guests and are then taken to their respected cabins. As guests relax, the train leaves for the next destination Sawai Madhopur. Dinner and overnight stay onboard. 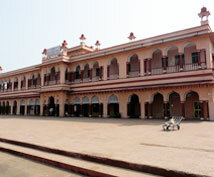 Welcome to the Pink City today, the capital of Rajasthan, Jaipur. Once you have your breakfast, leave for Amer Fort. 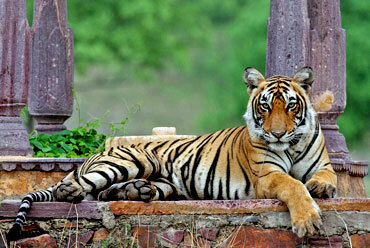 This is a star attraction of the city and a UNESCO World Heritage Site along with other Hill Forts of Rajasthan. 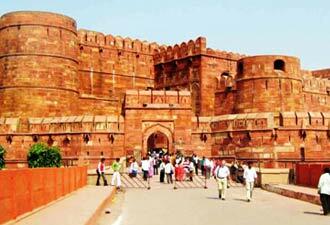 The fort was built in the 17th century by Maharaja Mansingh, but its grace and charm don't seem to have faded. While on the way to Amer Fort, you can stop at other attractions of Jaipur, such as Hawa Mahal, City Palace and Jantar Mantar. Hawa Mahal is an iconic spot, with intricately placed windows that look like a honeycomb. Jantar Mantar is a UNESCO World Heritage Site and houses world's largest stone sundial. Lunch is to be arranged in a city hotel. After lunch, you can either indulge in a spa session in a city hotel or take a stroll in the colorful markets of Jaipur which are stocked with handicraft, paintings, bangles, lehenga cholis and other knick-knacks. 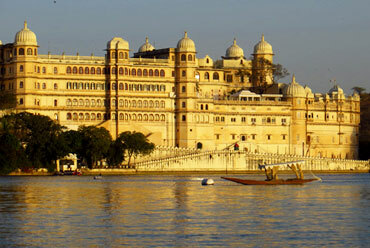 Return to the comforts of your luxury train, have dinner and stay overnight as it leaves for the next destination- Udaipur. 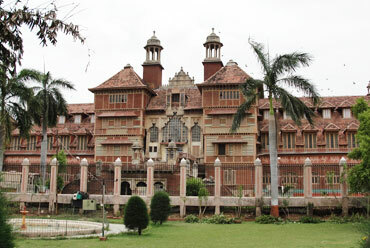 On the seventh day of the tour, you reach Aurangabad, the Mughal city named after its Great Emperor Aurangzeb. The morning is to be spent at leisure, so can enjoy an unhurried breakfast session. The train arrives in Aurangabad as the lunch gets served. 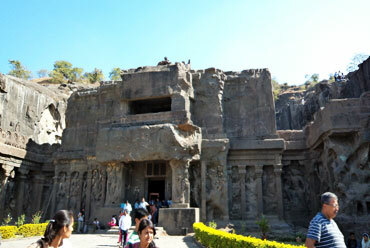 Take a scenic drive to Ellora Caves (UNESCO World Heritage Site). This consists of 30 rock-cut shrines that represent Hindu, Buddhist and Jain forms of art, dating back to a time between 4th and 5th century AD. Return to the comforts of luxury train once you are done exploring Ellora Caves. 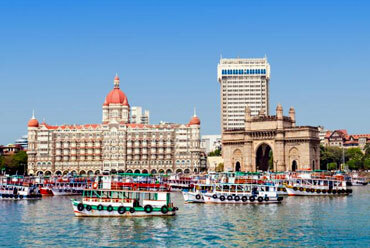 Enjoy sun-downer at Mumbai-Hi in the evening, followed by dinner. Overnight stay onboard. The Deccan Odyssey reaches the final leg of its tour, Indian Odyssey, on the eighth day. The train stations at Chhatrapati Shivaji Terminus Railway Station of Mumbai. After having breakfast onboard, guests disembark and bid farewell to the Deccan Odyssey. 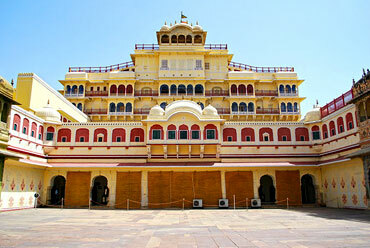 Visit one of the best Hill Forts of Rajasthan, Amer Fort, in Jaipur. In Delhi security check will be conducted at the time of check-in at the railway station, whereby, luggage is required to be scanned. Please present your passport at the time of check in to collect ticket voucher and relevant documents.